Summary: Cheese Weasel Day (CWD) is the only Internet holiday. Started around 1993, CWD is celebrated each April 3rd as a fun day dedicated to appreciating people who work in the tech industry. Plan a party to celebrate the contributions of your technical friends. Make something with cheese. Why? Food makes it more enjoyable when you socialize with your techie peeps! Why weasels? Because they’re funny! Use #cheeseweaselday or #CWD on Twitter to say thanks to the technical people in your life. They make your email work again. They fix your computer when it crashes. They made your website look good. They politely answer technical questions they have heard 100 times before. They make you famous on Facebook and Twitter. They make your site friendly to search engines. They attract traffic to your blog. They made your favorite cell phone application. They understand how to make the copiers and printers work again so you can get your report in on time. It’s time to say thank you for all they do! It doesn’t cost anything to say thank you, but you can make Cheese Weasel Day a special event just for them. Why not? It’s fun! 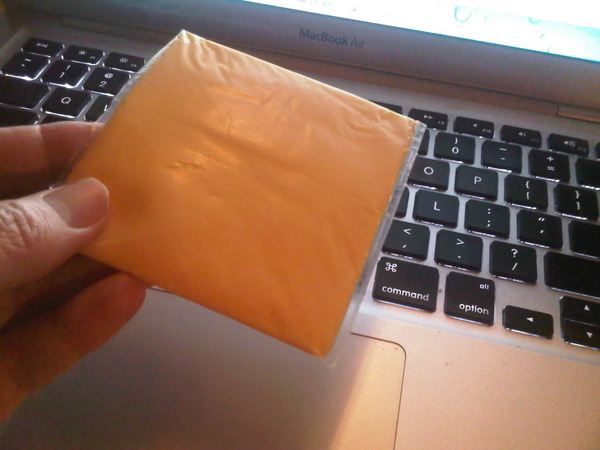 Cheese Weasel Day is a real holiday that started on the Internet sometime in the early days of the web in the 90′s. Like most holidays, CWD is filled with traditions that many celebrants may not understand. Like, “Why cheese?” and “What’s up with weasels?” But most people realize it doesn’t matter, since they don’t know what USB and URL stand for either. The holiday is just like the technology we use, some kind of magic. Magic that freezes up or crashes right when you need it most–which requires most of us to make a fast call to those IT wizards in our lives. The people we take for granted all too often. Until recently CWD, has been celebrated quietly on April 3rd by many around the world as a fun day dedicated to saying thanks to all the good little boys and girls in the high-tech industry. Legend has it (and the internet has many legends) the Cheese Weasel (C.W.) travels the world, leaving a bit of cheese under keyboards or mouse pads of good techie boys and girls. The type really doesn’t matter though Kraft Singles often is the cheese of choice. However, depending on how often you look under your keyboard, the C.W. might place a wedge of cheddar instead. And if you’re lucky–some cheesecake might appear near your computer! That’s all you need to know about CWD, just go with it and have fun! Go here and learn the Cheese Weasel Song so you can sing it at your own Weasel celebration. Write a blog post. 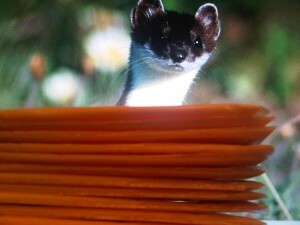 Help spread the word about Cheese Weasel Day by writing on your blog. Plan a Cheese Weasel Day party. It’s fun! A fondue party, make grilled cheese sandwiches, nachos, or Cheetos on the house! Get the official “Cheese Weasel Day” tee! Ferret out your bad fashion and gird your loins with the weasel. It’s the perfect thing to wear to a CWD party! Are you feeling these actions are a little too cheesy to try? That’s the spirit of Cheese Weasel Day! Thanks d’Glenn, we’ve heard the same story set somewhere in Silicon Valley. Can’t wait for the movie version of that event!